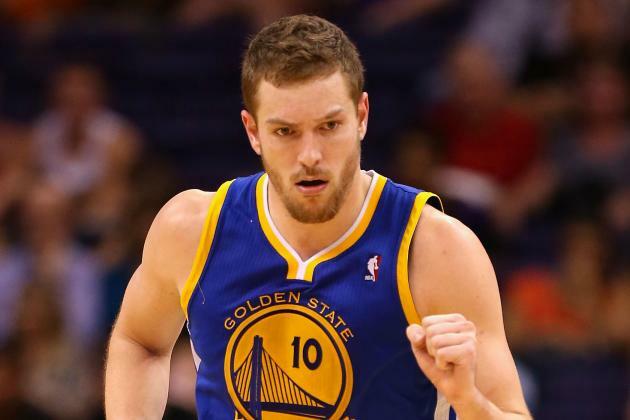 It seems that the Golden State Warriors did find a suitable deal for power forward David Lee after all. Lee signed a contract back in 2010 for $75.5 million over a 6 year period, making it impossible for the Warriors to deflect from those terms and, quite frankly, what a price to pay for keeping an ex All-Star sitting on a bench. So the Warriors traded Lee for Gerald Wallace. The Boston Celtics are happy to welcome David Lee, and as far as their concern, there’s very little risk besides crowding the frontcourt and it is worth mentioning that Lee adds another dimension to Brad Stevens’ Celtics offense. David Lee was a leader in his first few years with the Warriors and was also the highest paid, he was a double-double machine becoming the franchise’s first All Star in 2013. His injury cost him to lose his starting job and with Gerald Green excelling, Lee started playing sporadically and sometimes did not play at all. And instead of rebelling, he embraced his role, never complained and kept the team spirit alive, which led the Warriors to their 1st NBA title in forty years. One of the best game played by Lee was probably the fourth quarter of Game 3 of the NBA Finals in Cleveland when the Warriors’ comeback fell short. Lee simply picked up the beat with his ball movement thus, giving the Warriors their momentum back. He then continued to play as a reserve for the Golden State Warriors which in return won the next three games. He never stopped once to be this graceful unselfish nature who always looked out for his team.